A never before used combination of materials helps bring this all new SB Dunk Mid to life for the spring. Ready to be skated, we see a combination of durable mesh and premium leather building this strapped-up Dunk Mid by Nike Skateboarding. Keeping things simple and letting the materials do all the talking, this SB Dunk Mid sports a combination of black, red and white. 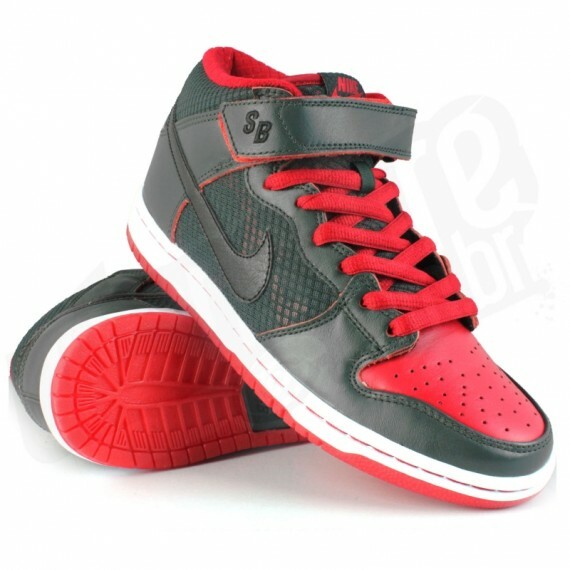 Look for these to hit select Nike SB accounts soon.